Portable Kiosk For Sale Nigeria - Affordable Prefab Kiosks. Home Delivery. Portable Kiosk For Sale Nigeria - Affordable Prefab Kiosks Delivered To Customers Nationwide. High Quality Portable Kiosks. Quick Delivery. We have portable kiosk for sale. 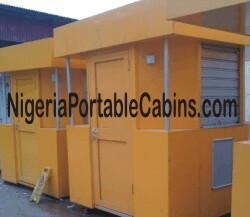 These prefab kiosks are made in Nigeria portable kiosk. 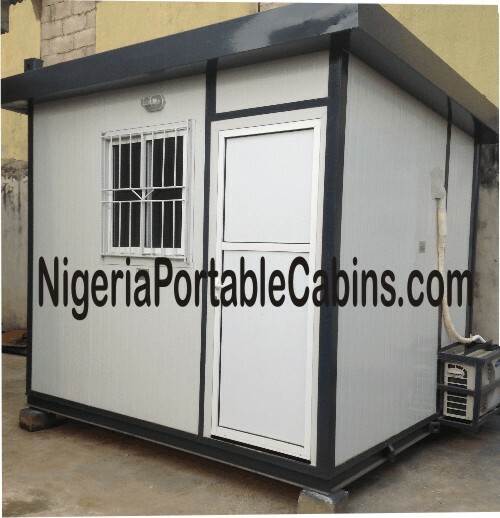 They are manufactured in Nigeria by one of the foremost portable cabins and prefabricated homes company . . . Erimama Investment Company Ltd . . . the owners and operators of this web site. We have two categories of portable kiosk for sale. As the name suggest, prefab kiosks are manufactured from prefabricated sandwich panels. In contrast, the metal building kiosk model (MB kiosk) are manufactured entirely from mild steel materials. In simple words . . . the prefab kiosk model are insulated prefab cabins while the metal building kiosk model are not insulated. Why have two different kiosk design? The reason is pretty obvious. And the reason is cost. Portable kiosk for sale that are made from prefab sandwich panels are more cosy, more refreshing and . . . more expensive. Can't afford the insulated kiosk design? Just order one of our metal building kiosk or steel kiosk affectionately referred to by our engineers are MB kiosk. How do our portable kiosk for sale look like? As the name implies, they are . . .
Our portable kiosk come in different sizes. And since they are custom-built to meet specific customer needs, we can build to your taste and design. What sizes of portable kiosk are available? The smallest size is 1.2m by 1.2m kiosk. You can also order . . .
. . . or any size that suit your business needs. Remember . . . we build portable cabins, prefab houses, and portable kiosk to customer requirements. Whatever it is you wish to build, just place your order and we will send you a quote. Here's a second thing to remember . . .
You can choose to order an insulated prefab kiosk or a non-insulated MB kiosk, which is cheaper. How do you place your order for portable kiosk made in Nigeria?